Please indicate the fabric number or letter for your purchase. If you are ordering more than one, please leave the remaining in the Note to Buyer at checkout. Thanks! 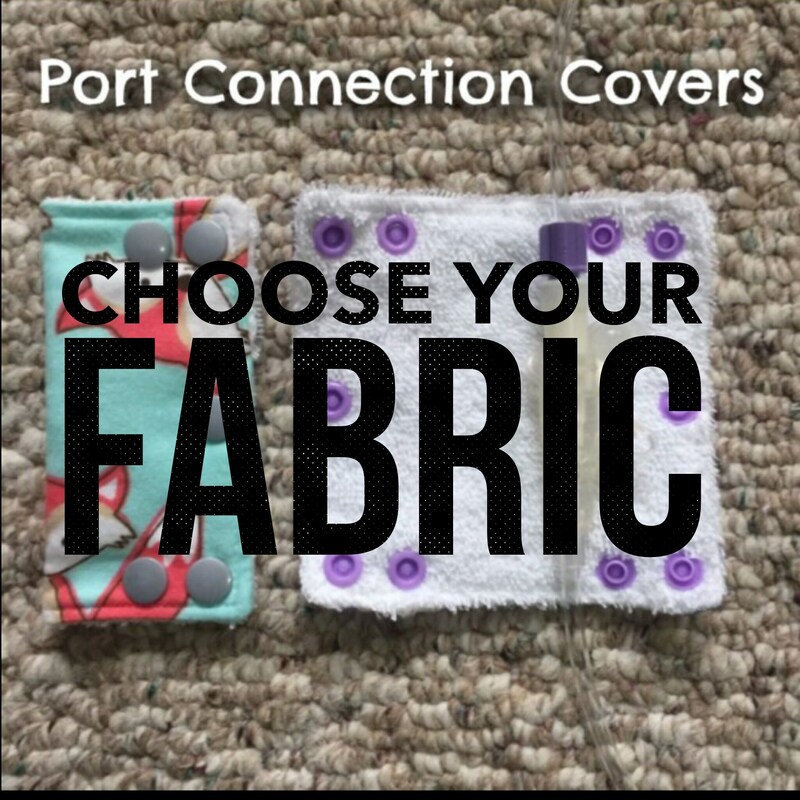 This is a made to order listing for one (1) port connection cover in a fabric of your choice of fabric. Please indicate the number of your fabric choice at checkout to avoid any delays with production. Let's solve the Feeding The Bed frustration! -Tired of finding that your port connection was accidentally pulled apart during the night and it fed the bed, or perhaps your little one has curious fingers and likes to play and disconnect the connection? Simple snap our flat Port Covers over the port connection and know that it is now snugly and securely fastened. Our flat and snug design, allows a quick closure so you can get back to doing what you do best- loving on your little one. **Would you like to add an insulated bag cover? Simply follow the links below to select your equipment volume size and it ships at no additional cost. It matches the cooler bag i purchased perfectly. Its high quality and im very pleased!